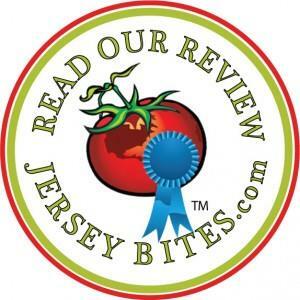 1-18-2014: We are honored to be featured in a Jersey Bites article on their website: www.jerseybites.com. “Jersey Bites is a collaborative website of food writers in New Jersey. We write about restaurants, recipes, food news, food products, events, hunger relief programs, and anything else that tickles our taste buds. Why? you may ask. Well, because we believe that the Garden State has food to celebrate and we’re just the bunch to do it. This site’s mission is to spotlight all that is great in the Garden State”. Thank you, Jersey Bites!